A fine first edition 1794 map of Ireland by Robert Wilkinson. 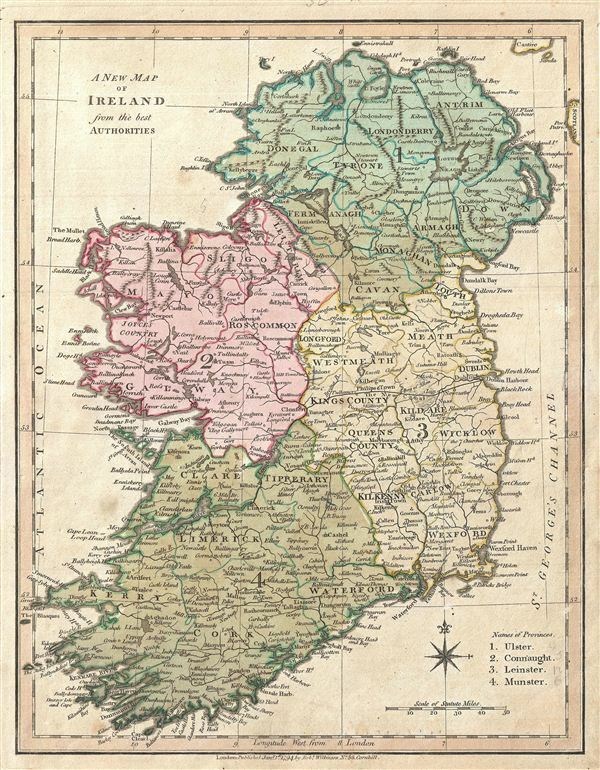 Wilkinson's map depicts Ireland in full with color coding dividing the island into its four ancient provinces: Ulster, Connaught, Leinster, and Munster. These in turn are subdivided into 32 traditional counties. engraved by Thomas Condar for the 1794 first edition of Robert Wilkinson's General Atlas.